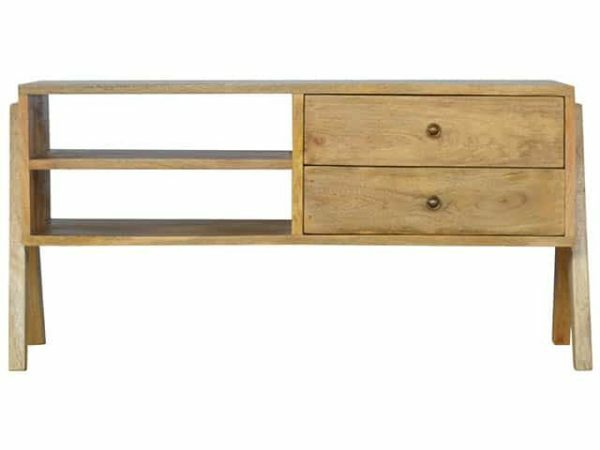 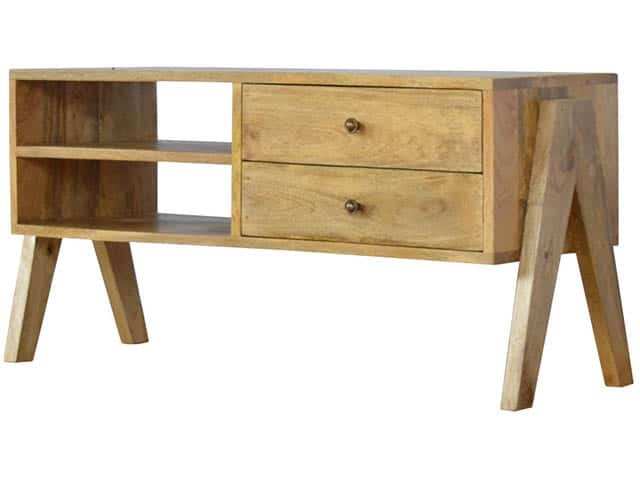 Add this simplistic yet versatile Wood TV Media Unit to your living room or bedroom. Featuring 2 large drawers which have brass knobs and 2 open slots for storing any books, magazines or CD’s. 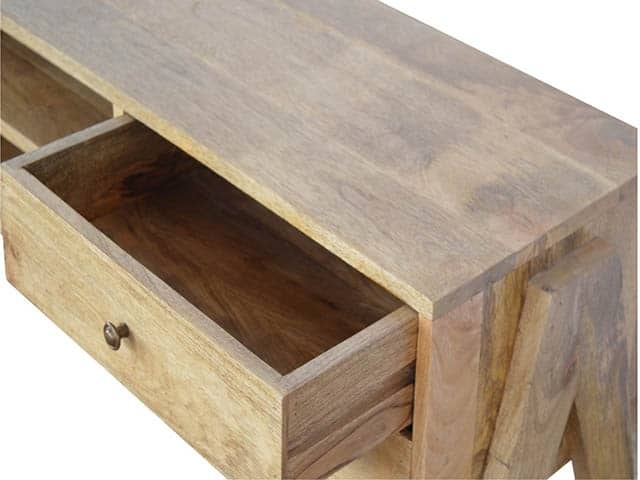 It also has ample space on top for a TV or any photo frames or ornaments. 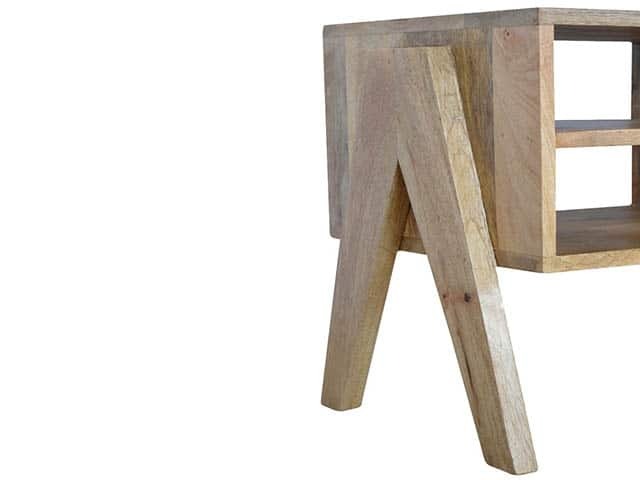 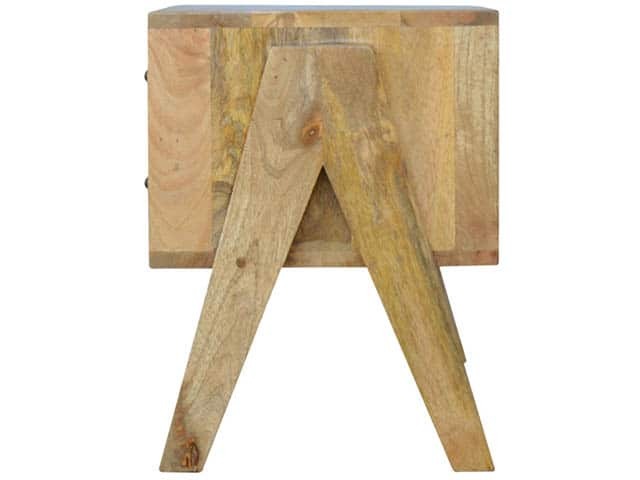 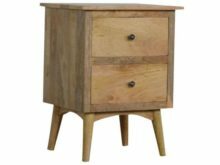 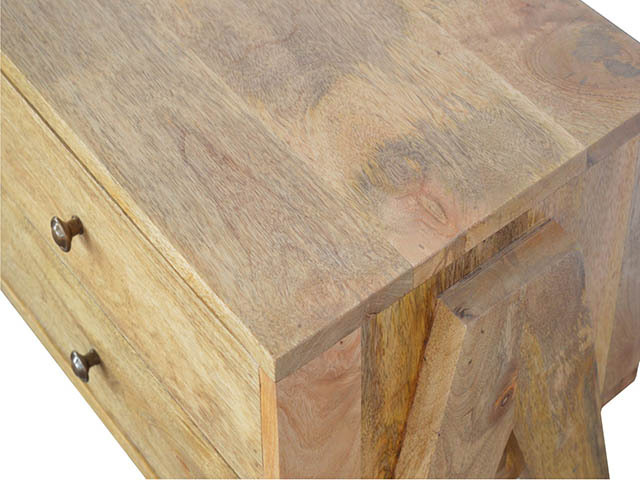 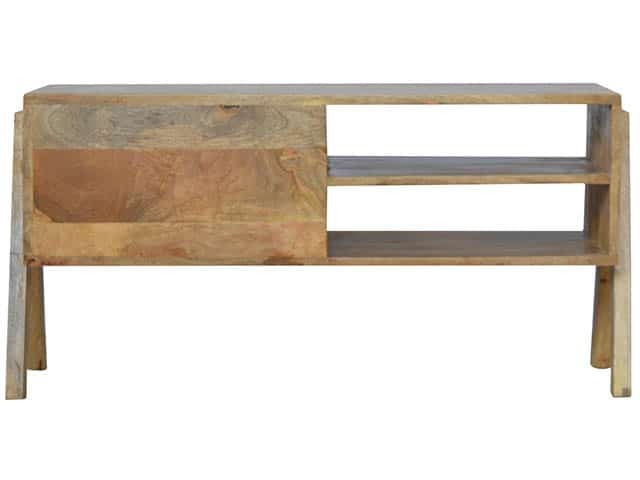 Constructed from 100% solid mango wood and has a fine oak-ish finish. 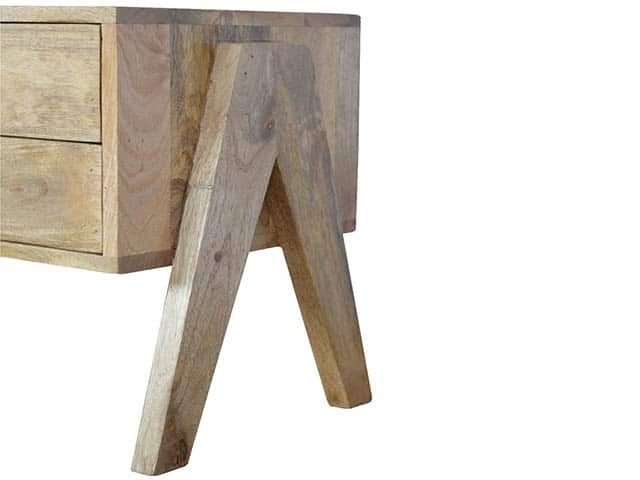 Perfect as a standalone piece but also partnered with the other pieces from the v-shaped Nordic collection. 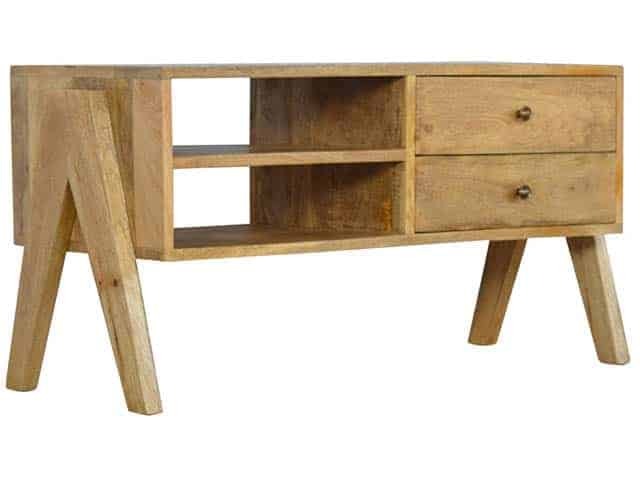 Wood TV Media Unit Packed and shipped one per box.